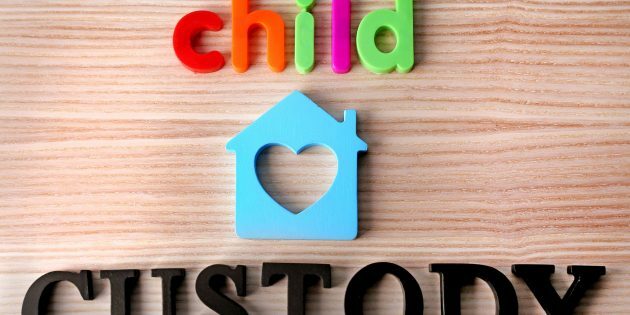 Can I Make an Application for Custody, Care and Control of my Child in Singapore Even if I’m Not Married? Medical Issues: this includes decisions on whether the child is to be hospitalized or whether a non-emergency surgical procedure is to be performed on the child. Education: This involves issues such as the choice of school, choice of enrichment classes, choice of course in school, choice of subjects, and whether the child is to attend a particular school trip or outing, or tuition. Religion: This involves the religious instruction of the child, attendance at religious places of worship, and undergoing religious ceremonies. Sole Custody Order: The custodial parent may make major decisions for the child without the agreement of the other parent. However, sole custody is only granted in exceptional circumstances where joint parenting would hinder decision making in material ways or where joint parenting is not in the best interests of the child. Joint Custody Order: Both parents must make major decisions for the child jointly. This means that they must agree on the decisions that are made. In the absence of agreement, regretfully, either parent will have to apply to court for a determination of the disputed issues. Hybrid Order: This is similar to a sole custody order but includes an order that the custodial parent must consult (or even obtain the consent of) the non-custodial parent when making decisions on specified matters, for example, choice of school, choice of course in school and so on. Split Custody Orders: This is when the custody of one or more siblings is granted to one parent and the custody of the other siblings is granted to the other parent. As a general rule, siblings should be under the care of the same parent. If a split custody order is sought, then the parents must file affidavits in support of such a split custody order and explain how this would be in the best interests of the children. 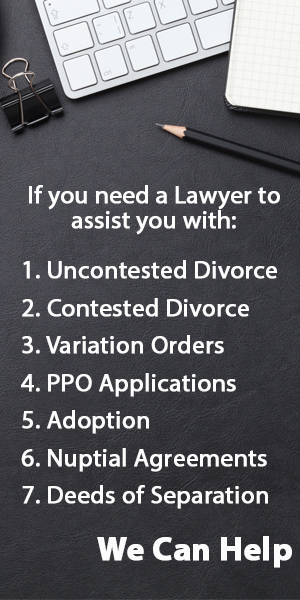 In every case where custody in contention, the welfare of the child is the paramount consideration when courts determine what type of custody order to grant. Custody is different from the issue of care and control. Care and control relates to which parent the child will live with on a day-to-day basis. The parent who is awarded care and control has the authority to make decisions relating to the day-to-day activities of the child (e.g. with regard to meal times and bed times). Is It Possible to Make An Application For Custody, Care and Control If I’m Not Getting A Divorce? Yes it is. Any individual with standing, can start proceedings under the Guardianship of Infants Act for custody, care and control of a child or children. An individual with standing includes any legal, lawful or natural guardian of the child. A legal guardian is a person who is a either a court-appointed guardian or a testamentary guardian. A lawful guardian is a person that is lawfully entrusted with the care and custody of the child where the court has determined him or her to be the caregiver and custodian of the child at the material time. On the other hand, a natural guardian is either the mother or father of the child. As such, it is entirely possible for unmarried couples to take out applications for custody, care and control even if they are not married. When Would Someone Make Such an Application? In the circumstance that a child’s parents are deceased and a caretaker or a guardian would like to take to have the custody of the child, an application for such can be made in the family courts. As mentioned above, any individual who has standing can make an application for custody, care and control in the family courts. Do you need someone to assist with making an application for Custody, Care and Control? We answer all your queries within 24 hours.